Gardening became wildly popular in England during the Victorian era. The wealthy had the space and money to create large, lavish landscapes, but the middle class, with more time on their hands than ever before, were also able to create beautiful gardens in Victorian England. Many elements of Victorian garden style are enduring and remain popular to this day. 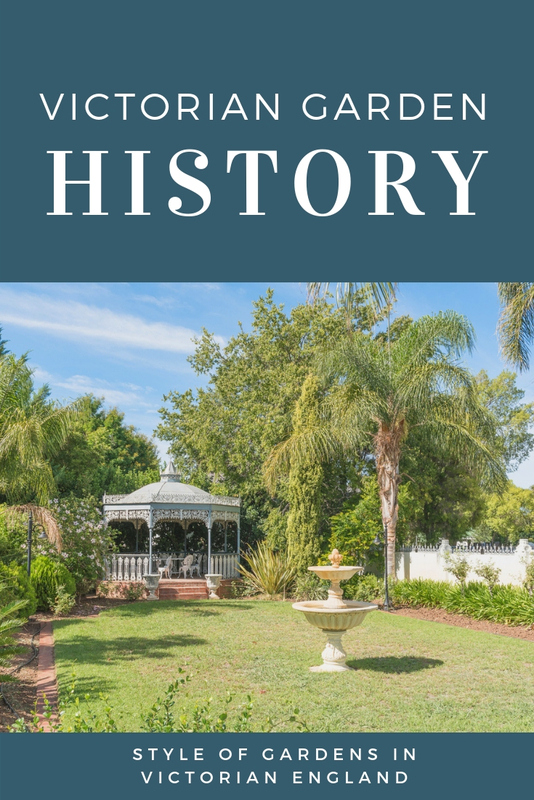 Let’s learn a little more about Victorian garden history. Fences: Although they were usually cast iron, wooden fences were acceptable if cast iron wasn’t available. However, wooden picket fences were considered old-fashioned. Fences were draped with climbing roses or flowering vines. Flower beds: Although gardeners in the Victorian area liked formal gardens and flower beds, Victorian style also included wild, exotic plants. Flowers were grown along walkways or in large, round beds, or if space and money allowed, in geometric shapes or intricate mosaics. Plants: Certain flowers such as hollyhocks, larkspur, snapdragons, pansies and sunflowers were considered outdated and passé. Victorian gardeners preferred large, bold plants like cannas, lilies, dahlias, ornamental grasses, castor beans, ferns, gladiolus or coleus. Greenhouses and exotic plants: Collecting plants imported from around the world became a popular hobby for Victorian-era gardeners. Wealthier gardeners overwintered tender plants in greenhouses. Lawns: Green lawns were an essential element of Victorian garden style, used to frame a lovely home and for socializing or lawn games. Lawns in Victorian England were trimmed with a scythe, so they lacked the perfectly manicured appearance of many lawns today. Trees and shrubs: Victorian garden style often implemented shrubs and trees, both evergreen and deciduous, as specimen plants. However, they were also planted along property lines or in mixed hedges. Ornamentation: Decorative elements included topiary, sundials on pedestals, stone or marble walkways, cast iron ornaments, statues, pools and fountains, urns filled with flowers and foliage, vine-covered trellises.